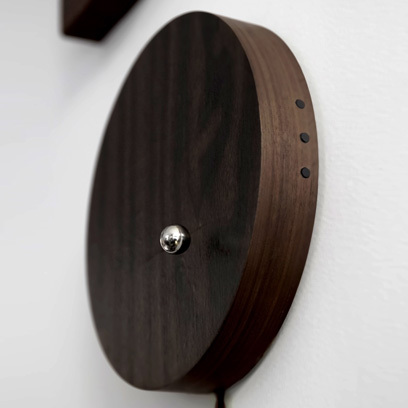 From the makers of the popular Flyte Light, the Story Clock is the first levitating timepiece, featuring a chrome finished magnetic sphere that orbits around a sustainably sourced wooden base (it measures 10.5 inches in diameter), counting the time based on your preferences via a mobile app. Select your orbit to minutes, hours or even years and let Story count it for you. Story can be set to display standard time or customized to a special moment in our lives such as anniversaries, birthdays, or upcoming travel plans. When the day arrives, the levitating sphere will have made one complete revolution. Story’s backlit function syncs up with Flyte’s mobile app to display real time meteorological data including moon phases. • Backlit Display: Full color RGBW LED display customizable via the Flyte app. 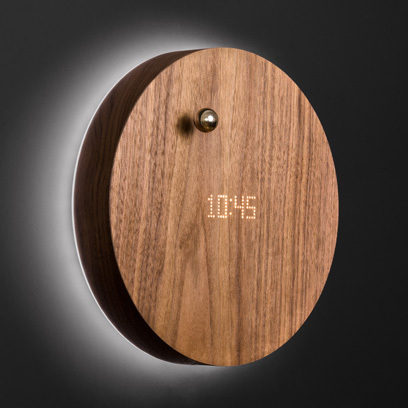 Illuminate real-time meteorological data, such as moon phases. • Multiple Orientations: The clock can be displayed horizontally, vertically or at a 60-degree angle with the included stand. • Powered with standard plug-in. 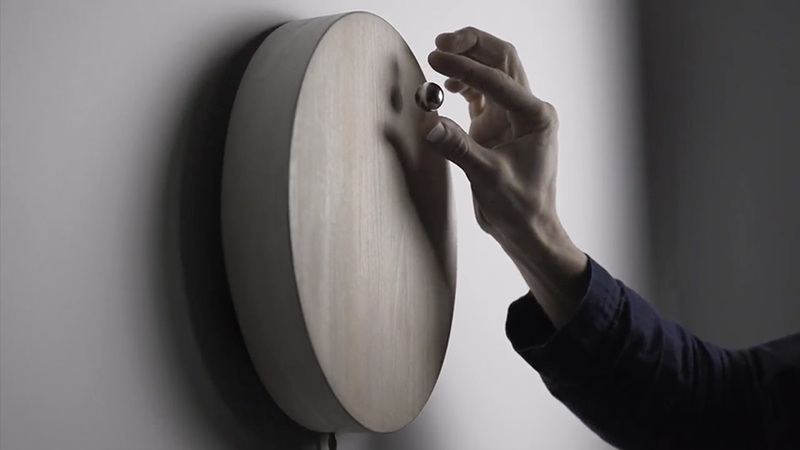 The Story Clock was developed by a company that uses the physics of magnets to defy expectations. Along with its magnetic technology, Story Clock takes an innovative approach to time and how we all experience it differently. "In a way, it's bringing the physical experience of space and time into people's homes and offices," explains Story's designer, Simon Morris. "Story Clock helps us visualize where we've been and where we're going." 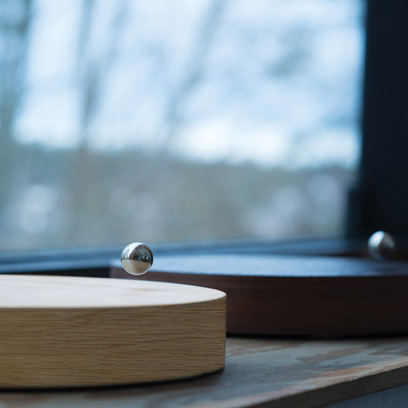 The first levitating timepiece, Story Clock features a chrome magnetic sphere that orbits around a sustainably sourced wooden base. Story Clock counts the time based on your preference via a mobile app. Select your orbit to minutes, hours or even years and let Story count it for you. Set Story to highlight key moments: anniversaries, birthdays, the start of a big trip. When the day arrives, the levitating sphere will have made on complete revolution.